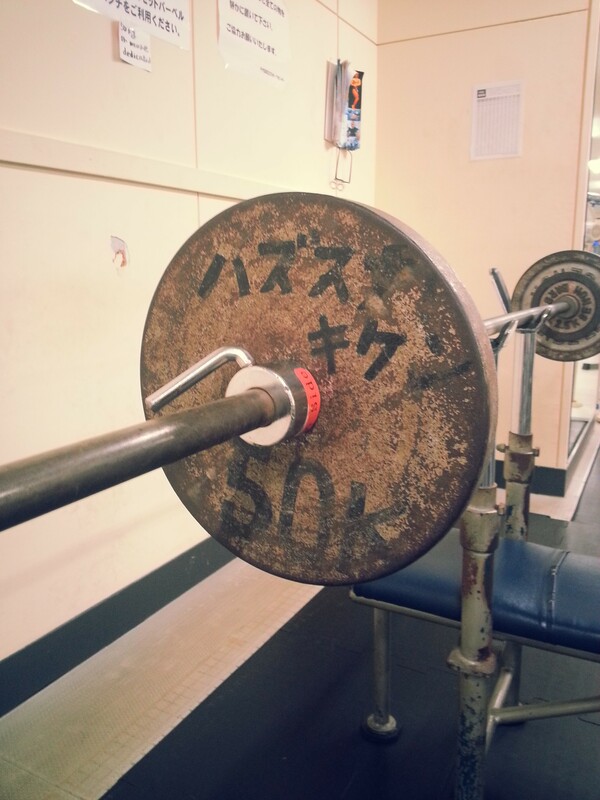 Being the gym rat that I am meant that one of my first priorities after arriving in Japan was to find a good gym. 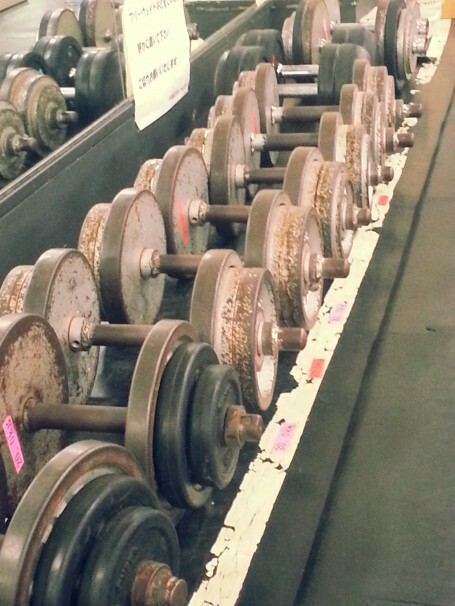 Upon searching among many online travel forums, I found that the general attitude was “good luck finding a decent one.” Memberships are expensive, machines are preferred instead of free weights, and there’s some unique gym etiquette. I knew I was going to eat a lot during my stay (and yes… yes, I did), so I continued my search for fitness and stumbled upon my perfect gym: the Chiyoda Sports Center. 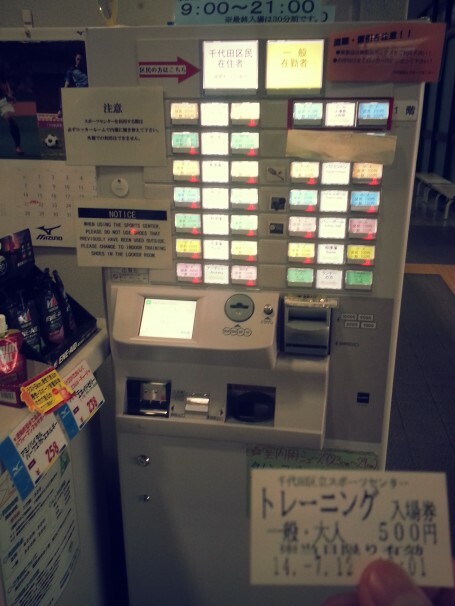 Only one stop away from Sakura Hotel! One of Japan’s best kept secrets is the abundance of workout opportunities available to the public. 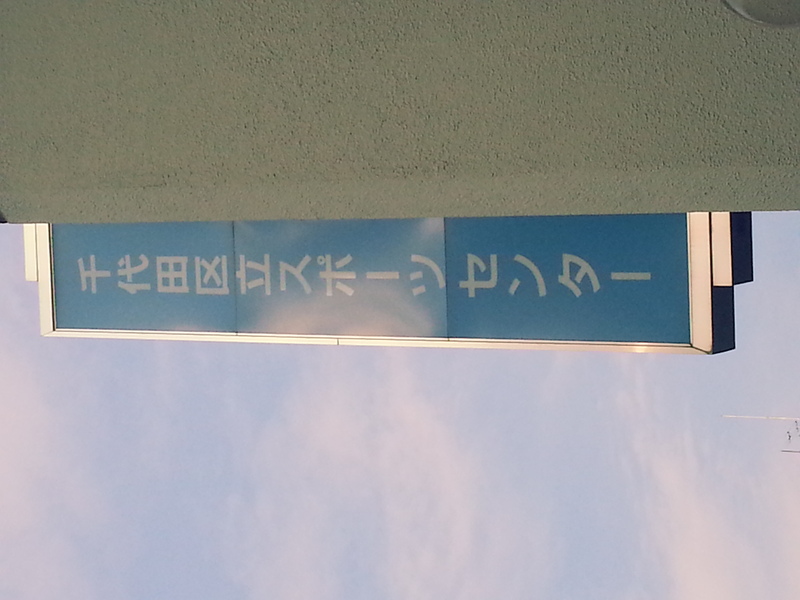 Each ward, or ku (区), operates public sports centers that offer various sports, arts, and cultural activities. Therefore, one can learn kendo, play soccer, go swimming, practice golf swings, and much more. And here is the best part: these services are offered at a fraction of what private companies charge. 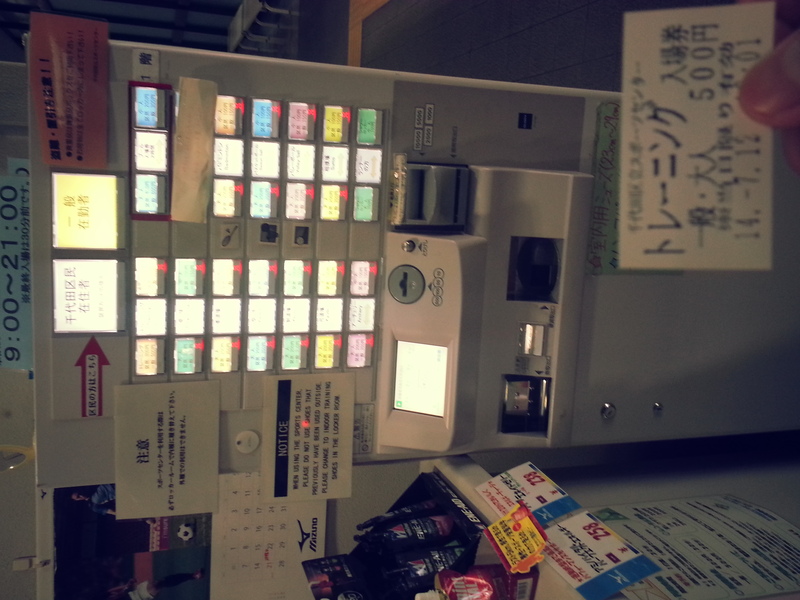 For example, Chiyoda Sports Center offers all these services for a measly 500 yen per day (300 yen for ward residents). I immediately broke many rules of etiquette during my first time at the gym. 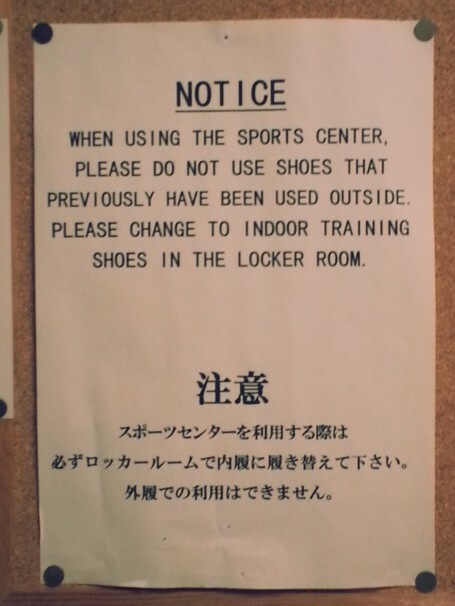 First, I was stopped from entering the room because I had worn my outdoor shoes, so I had to go back downstairs and rent a pair of clean running shoes. Bring another pair of shoes to change into! Shortly after, the same employee instructed me to gently lower the weights on the ground as there were people downstairs, on the second floor. 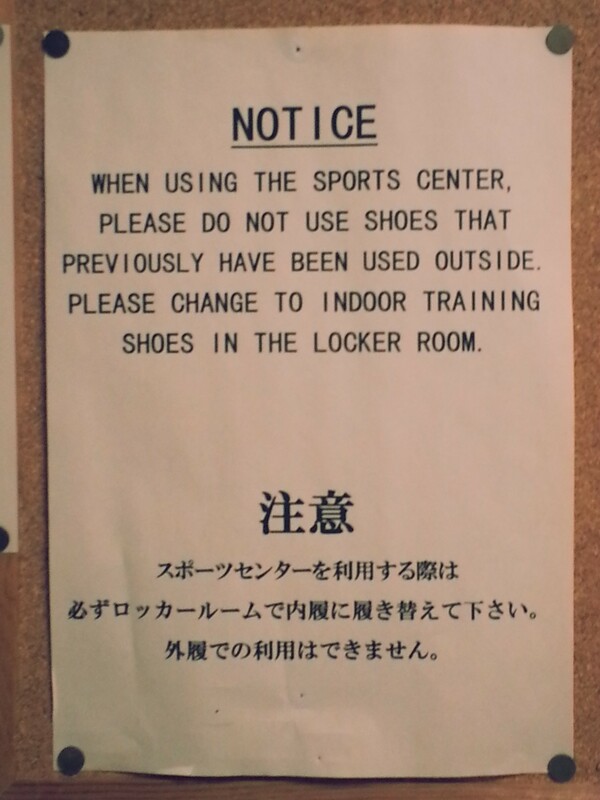 Despite my naivety, the staff were very patient and helpful in teaching me proper Japanese gym etiquette. 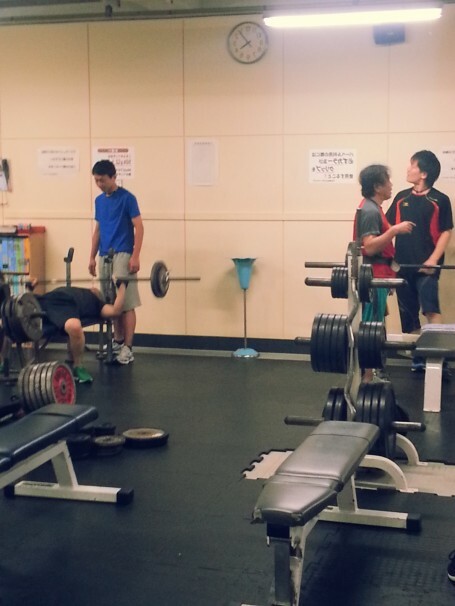 Japan and America have very different gym cultures, with the most notable aspect being each gym’s training environment. At USC’s Lyon Center, for example, people simply clock in, then clock out. They have their headphones in, don’t talk during their workout, and leave after they are done. 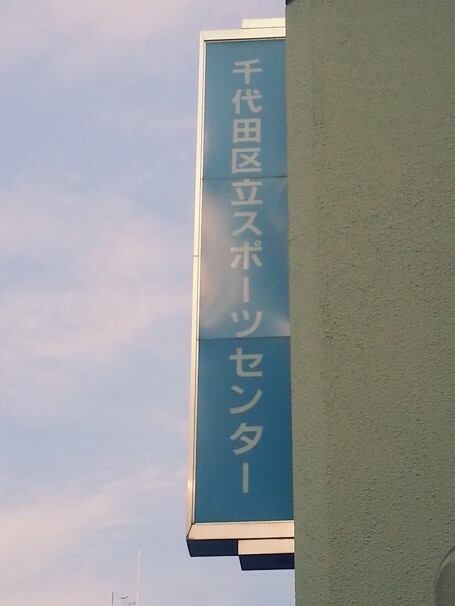 At the gym in Chiyoda Sports Center, however, I felt a sense of family. Despite the fact that everyone pretty much wears Gold’s Gym gear (shirts, pants, singlets, and/or belts) for some reason, I was surprised at the chattiness and kindness of its regulars and staff. Everybody knows everybody here and the regulars and even the staff are there to support you. For example, an employee is conveniently stationed at (or always nearby!) the bench area to spot you, encourage you, and give you tips for free! Employees hard at work. Can you “spot” them? 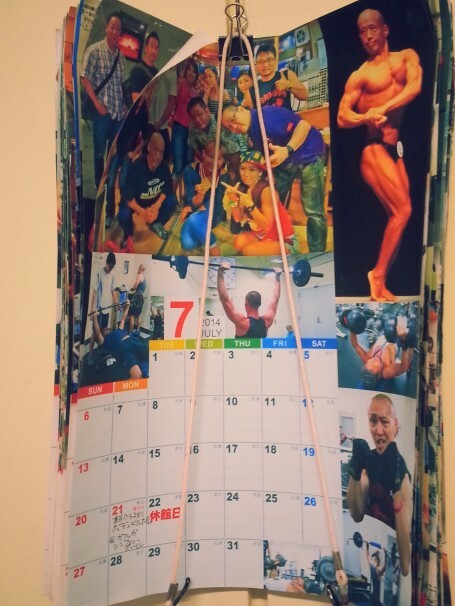 They even have a calendar! Additionally, one of the regulars chatted with me and introduced me to his gym buddies. We had a great conversation about the famous Gold’s Gym in Venice, and they even gave me tips on how to improve my bench press routine. And boy, did I take notes, because these 50-60 year olds were effortlessly benching almost DOUBLE my one-rep max. Watching these middle-aged men lift 140 kgs (308 lbs) was a humbling yet motivating experience. Gymming in Tokyo was a great learning experience; it taught me the importance of a good training environment. In this tiny, old-school gym, everyone has the common goal of getting stronger, and seeing people encouraging and helping each other in a family environment definitely helped me to push myself beyond my limits. Creating this type of environment back in America will certainly help me achieve my fitness goals of becoming stronger.